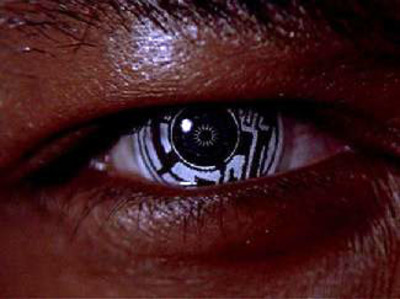 Which sci-fi flick or program has the most impressive or convincing technology? I don’t often watch sci-fi, but, when I do, it’s important that the technology employed by characters is convincing, or at least impressive. Which sci-fi film or television series has the most impressive or convincing technological contraptions? Heaps of them do but perhaps the likes of Star Wars. There was a series years ago that was brilliant but of course I do not remember the name of it! actually on thinking more about this question, not quite sure what convincing technological contraptions means -"convincing"? By 'convincing' I mean, can you believe that such a technology could exist? i could get beamed up to meet you and have a laugh for an hour or so! Haha, that would be great!!! I thought the tech in Almost Human was really well done and very believable. I'm still really sad that Fox trashed it after only a single season. It was a really good show. Yeah, Fox has a horrible reputation for killing good shows early. Particularly shows that are in the process of building dedicated fans instead of widespread acceptance. Tough one. I'm not really sure to be honest, but I am currently watching The 100, which has pretty convincing technology, mainly because it is only set 90 years in the future. How is The 100? I've heard lots of good things but I haven't tried it yet. I'm enjoying it. It is definitely aimed at the young adult audience because the main characters are teenagers (although clearly not the actors). It is split into scenes between those trying to survive on Earth, and those trying to survive on the space station. In both cases there is a question of leadership, politics, and ethics, about decisions that are made that affect everyone. I prefer the scenes on the space station, which involves more debate through intellectual discussion, while on the planet it is more physical, and theres more action. Neighbours – Should Lauren be worried about Amber? Bold & The Beautiful - Are you glad Steffy is back? Bold & The Beautiful - Was Wyatt wrong to organise a romantic evening for Liam and Ivy?